So I looked up the recipe from Nigella’s Kitchen again, as I have already made them once and there were a huge succes. I originally wanted to play around with the recipe… making double chocolate chips cookie or cookies with nuts and white chocolate… but I was not in the mood for experiments! I just wanted to have chocolate cookies and the sooner the better 😉 So hopefully next time I can come up with some variety, but for now I used dark Chocolate Chips. You could just chop up a bar of chocolate if you do not have anything else around. 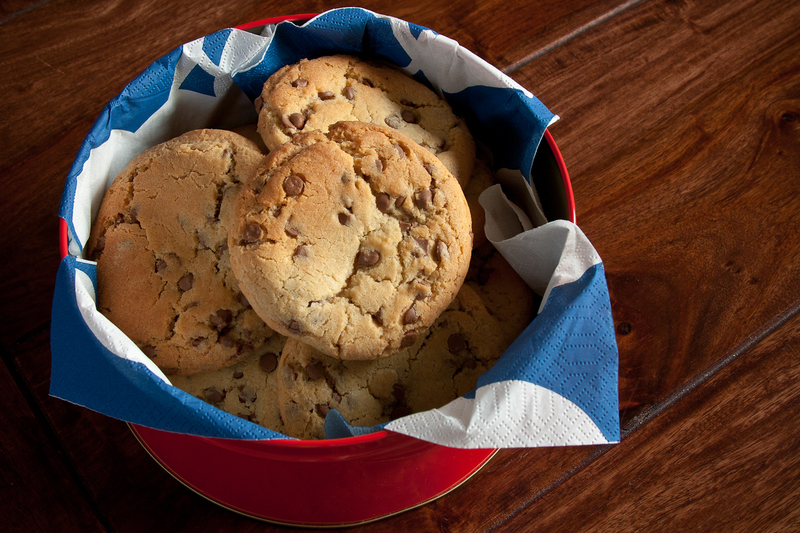 For making the best Cookie, you should never flatten the cookies on to the baking tray, as they will run out quite a bit. The best thing to do is to make little cookie dough balls *yummie* and if all are the same size, they will all bake evenly. To ensure this I use a measuring spoon of 1/2 cup, but you could use a small tea cup or an ice scoop to form balls of cookie dough before placing them on a baking sheet lined with baking parchment. Make sure that there is enough space between them as the cookies turn to get quite big, depending on how big you make the dough balls 🙂 Bake them until they just start to get brown on the edges. Don’t panic when the cookies are quite soft when they come out of the oven, that is normal and you should not bake them longer! 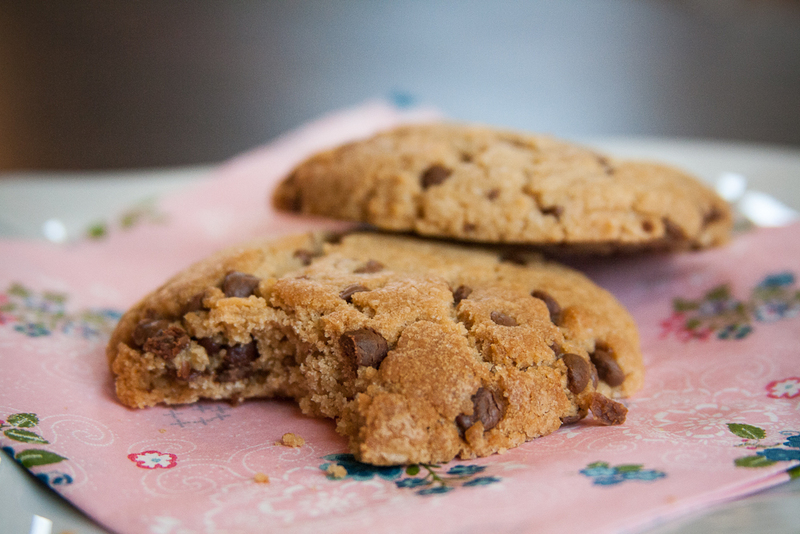 Otherwise you will end up with super crispy cookies (unless of course that’s what you are after). Cool them for at least 5 min on the baking sheet and then carefully place them on wire racks to cool completely. They turn hard once they are cooled (but still stay deliciously soft in the center). I keep them in a cookie jar and they stay good up to 4 days (well or let me put it that way… they survived no longer that days yet).